And his family vacation home can't be sold fast enough for his tastes! It's only ever reminded him of his unhappy childhood. Yet when his sister insists on having her society wedding there, Cade is forced to wait. And to deal with the photographer who's underfoot. Considering the wedding is outdoors, Meghan McBride sure is focused inside the house. What could she be looking for? Whatever it is, Cade is about to find out that love is just one of many surprises they're going to find on the property! 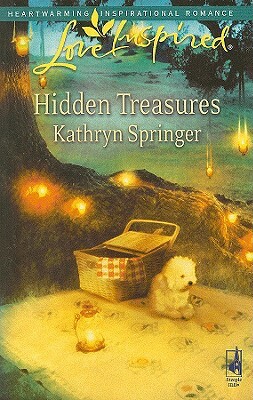 After reading her first book in this series, "A Treasure Worth Keeping," I couldn't wait to read this one. The first book was absolutely interesting, but I found I had to FORCE myself to finish this one. This is about Evie's sister, Meghan, who is a photographer. Her father talks her into going on an "investigation" to find an old piece of artwork for her father's "client." I gave this a three because it was an okay book. Had the author written more romance in it and focused more on issues surrounding the couple, I would have been happier. But at the end of the book, the only emotion I felt was relief that the book was over - I still didn't buy that they loved each other...I'm wondering if this relationship will last? I'm hoping the third book is better.